Between 2013 and 2017 CABI, University of Nebraska-Lincoln (UNL) and 13 national agricultural research and extension systems (NARES) formed a consortium that explored new ways of delivering smart fertilizer recommendations. The project was called Optimising Fertilizer Recommendations in Africa (OFRA). The project used new and historic fertilizer response trial data to develop recommendations to farmers that would maximise their return on fertilizer investment. The project achieved all its objectives. It developed specific recommendations for around 70 different agro-ecological zones across 13 African countries. It provided the opportunity to customise fertilizer recommendation based on farmer’s financial levels and also provided guidance for staple and most popular crops in the participating countries. One of the challenges that emerged in the developed optimisation tool was that it ran on Excel, which means that farmer’s advisors needed to carry the computer in the field to be able to use it. Computers are bulky and where not always available. However, the extension officers working in the field often have smart phones in their pockets! The team at CABI explored the idea of developing a phone application which would make the roll-out of the FOT easier. 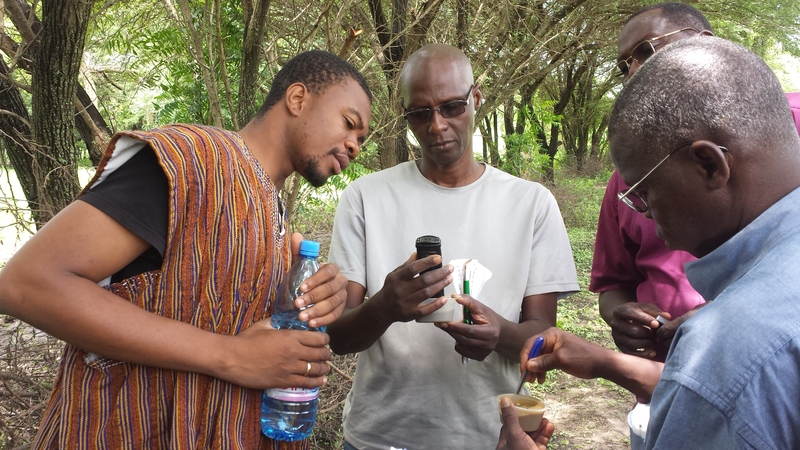 With the support the UNL, which had established Excel tool, CABI successful applied to Biotechnology and Biological Sciences Research Council (BBSRC) for funds to develop the mobile phone App. Work on the App is now at a very advanced stage. We had one user testing exercise in April 2018 and we are looking forward to a second user testing of the phone app in Uganda in August 2018. The team from NARO and the extension workers have been central to the development and testing of the App with the farmers in their farms. In the April user testing, the FOT champions and the OFRA team in Uganda gave me very informative feedback on the features they wanted to see enhanced or changed. Some of these improvements are currently being addressed by the developer White October. Others ideas that the group suggested will help us to implement further improvements in the future as funds become available. I think the development of the phone App is critical to rolling out these new fertilizer optimization recommendations at scale in Africa. In addition to the App we also need to develop a cadre of advisors able to take decision support tool out to advice farmers. Our colleagues in NARO (Uganda) and the extension service have also been sharing their experiences to help in the production of FOT advisor training materials. The idea is that advisors will train groups of farmers in importance of fertilizer ahead of carrying out one to one advice sessions in the application of customized fertilizer recommendations on. Finally, we are seeing interest from a number of projects in accessing the massive database of research results that was collected to inform the development of the optimization tools across 13 countries in sub-Saharan Africa. The NARES conducted field research on the main food crops which included maize, sorghum, pearl and finger millet, teff, rice, cassava, beans, groundnuts, soybean, pigeonpea, and cowpea across a range of agro-ecological zones. The OFRA project also developed a database of fertilizer responses carried out over the past 20 years. It is good to see that the value of this resource is also being recognised.